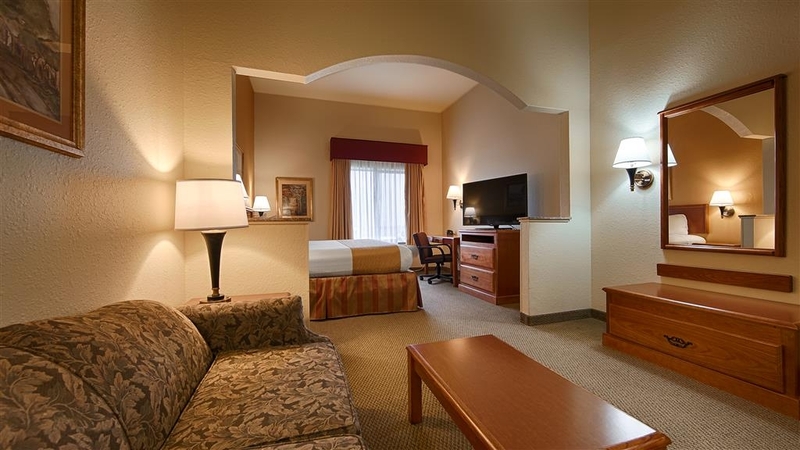 Das Best Western Executive Inn & Suites ist ideal in Madisonville Stadtzentrum zu finden. Erleben Sie ein schöner Aufenthalt in der Nähe von alle Sehenswurdigkeiten. Bestpreisgarantie und exklusive Angebote. Willkommen im Best Western Executive Inn & Suites. Dieses Hotel liegt nur 3 km entfernt von Madisonville, wo Restaurants, Geschäfte und Unterhaltungsangebote reichlich vorhanden sind. Gäste unseres Hotels genießen von allem das Beste: ein ruhiges Ambiente und alle Vorzüge der Innenstadt. Wenn Sie im Urlaub das Großstadtleben jedoch nicht reizt, können Sie den Tag auch am Madison Lake mit der Angel in der Hand verbringen. Unser Hotel in Madisonville liegt günstig auf halber Strecke zwischen Houston und Dallas/Fort Worth, und wir begrüßen viele Reisende, die die Gastlichkeit des Südens, luxuriöse Betten sowie Ruhe und Gelassenheit genießen möchten. Ganz gleich, ob dies Ihr endgültiges Reiseziel ist oder Sie nur auf der Durchreise sind, Sie verdienen eine sorgfältig ausgewählte und komfortable Ausstattung. Die freundlichen und sachkundigen Mitarbeiter unseres Best Western-Hotels in Madisonville weihen Sie gerne ein in die bestgehüteten Geheimnisse der Region. Das Hotel liegt 56 km entfernt von Bryan/College Station, und die Innenstadt ist nur wenige Schritte entfernt, sodass Sie das Beste der Region – von Restaurants bis zum Nachtleben – perfekt genießen können. Bei uns erfahren Sie alles Wissenswerte zu Sehenswürdigkeiten und Freizeitangeboten. Selbstverständlich können Sie bei uns auch einfach nur entspannen. Daher ist jedes Zimmer geräumig, kühl und mit Blick auf viel Komfort eingerichtet. Gelegen abseits der Interstate 45, bieten wir eine perfekte Lage für alle Gäste auf der Durchreise. Lassen Sie sich jedoch nicht von der Innenstadtlage täuschen: Unser Hotel in Madisonville bietet auch viel Ruhe. Das Best Western Executive Inn & Suites kombiniert günstige Preise mit hervorragenden Unterkünften. Schon bei der Anreise fühlen Siesich wie bei einem Familienbesuch. Bei uns erwarten Sie eine freundliche Begrüßung vom hilfsbereitesten Personal der Stadt und Preise, die Sie lächeln lassen. 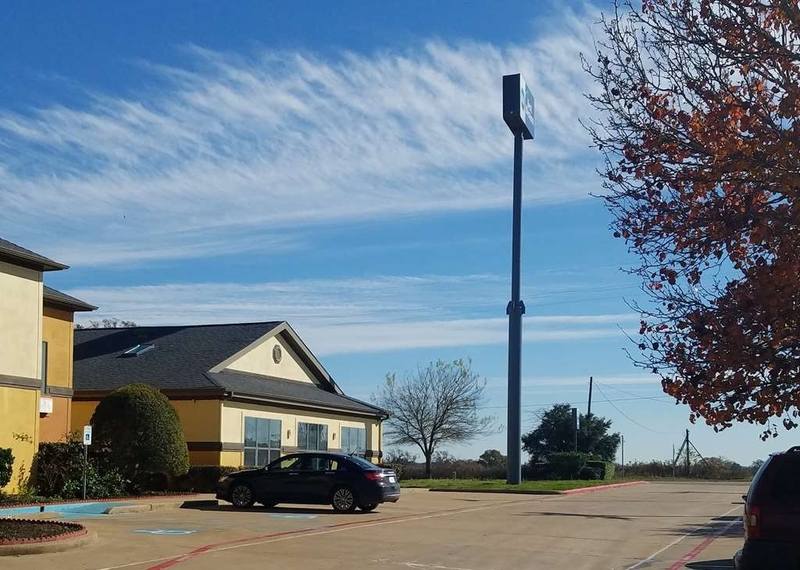 Hotels in Madisonville, TX, sind bekannt für Gastlichkeit, und unsere Ansprüche sind extra hoch. Wie können wir Ihren Aufenthalt sogar noch spezieller gestalten?Buchen Sie Ihr Zimmer im Best Western Executive Inn & Suites, und überlassen Sie uns den Rest! Wir wünschen einen schönen Aufenthalt. I have been staying at this Best Western for over three years every weekend. They treat me as family and make sure I am safe and comfortable. If i don't show up every week they check on me. The manager eats breakfast with me every Saturday morning. Al of the staff know me and welcome me each week. I couldn't ask for any better care. I highly recommend you give this business a try. I'm sorry if things were not quite right this weekend so we scored low. The message sounds great and we thank you very much for allowing us to take care of you. I love eating and visiting with my guest. I hope to see you in the future and we will see what we can do to make it great. This hotel is nice, the beds are comfortable with 4 pillows which should be plenty for most. Whoever they had paint did a great job. If you get hungry while your here there is a buc-ees and a barbque place in walking distance. "Hidden gem in a small town"
We weren't expecting much other than a serviceable hotel when we booked our rooms at this hotel. Wow. We were wrong. This hotel is terrific! 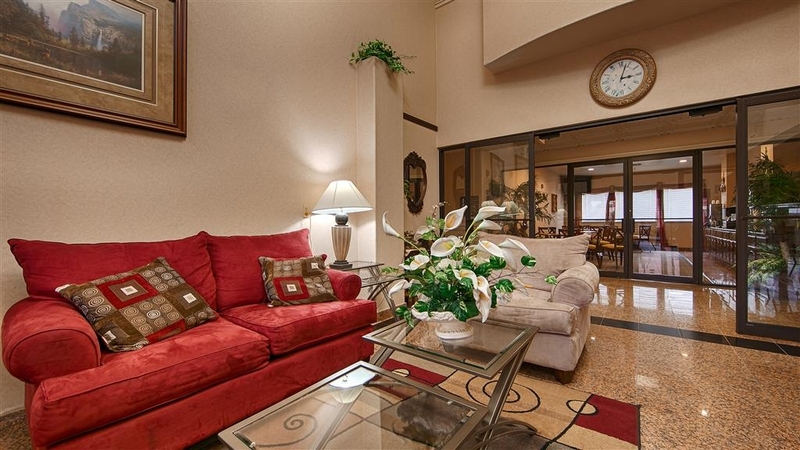 Rooms are large - while not the most up-to-date, the rooms have everything you need and more. Beds are very comfortable; plenty of outlets; with a decent-sized refrigerator and microwave; bathrooms have great shower pressure and temp. Lots of lighting, seating, and storage; the A/C worked great, and the room itself was quiet. Sharon at the front desk is a doll - so helpful! There is an elliptical machine, treadmill, and bike in the gym - the bike seat couldn't be moved, but the treadmill worked fine (didn't try the other machine). The indoor pool is clean and HUGE! Co-worker praised the breakfast amenities (I couldn't partake due to my work schedule). I especially liked all of the TV channels, both in my room and the gym. "If they open their mouth their lying!" Front Desk has been instructed to tell CLC people they can only book on line well what their wanting is to bill YOUR CREDIT CARD! You can not put in CLC's information it has to be taken at the hotel which means you will be billed and you will never recover this it's a scam done by many independent hotels, Keep driving not worth the hassle and loss of money! This guest was informed that we do not take a physical clc ( Corporate Lodging Corporation) card. 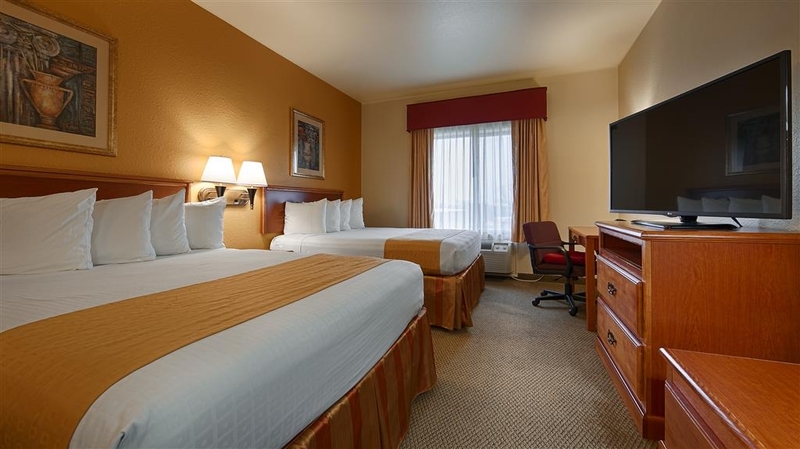 That they would need to contact clc to have them book the room through us or Best Western International directly for this guest to be able to stay with us. We are not trying to scam anyone and we are sorry you did not understand our instructions on booking this room. We are very happy to accomodate all of our clc guest that go through the proper channels. "Awesome place to Live, clean and peaceful"
This is one of the best places I have lived so far... so cool, calm, clean and relaxing. Employees are good and caring. Property is conveniently located hardly 100 yards away (on Main St) from I45 in Medisonville Owner is himself is so down to earth, friendly and caring. This will be my only destination if I will be around Medisonville ever. 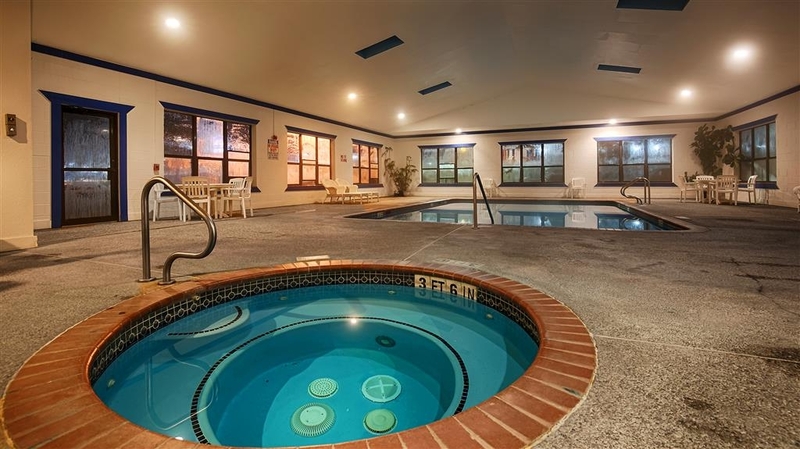 Booked directly from Best Western' S website and it listed indoor pool and spa as part of amenities this location had to offer. It was closed.. I understand that renovations and repairs need to be made, however in this technology laden society you should update websites. I am tired of spending money for amenities and facilities not having available what they themselves advertise. 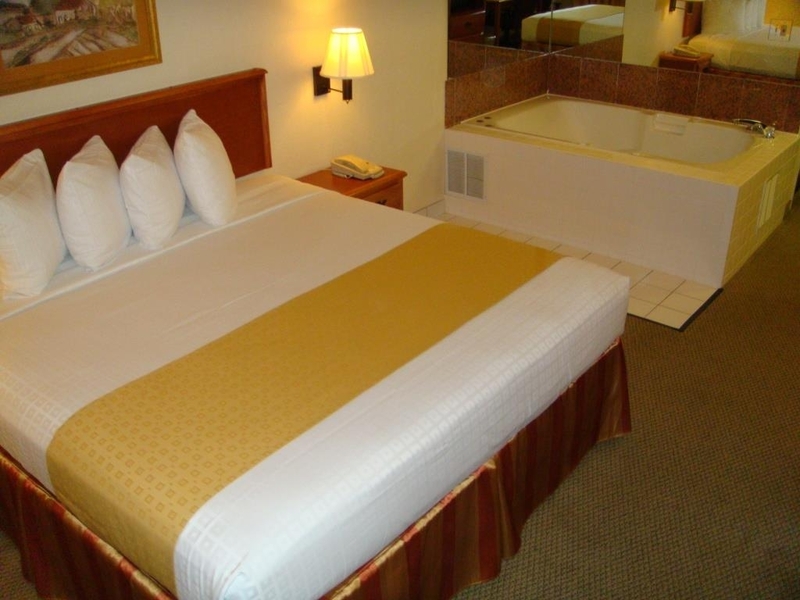 The hotel clerk did offer us a Jacuzzi room for an additional charge. "Best place in Madisonville to stay"
Clean, comfortable hotel. Clerk, Sheena, very friendly and helpful. Room has a comfy upholstered chair and footstool with a lamp next to it at just the right height for a reading chair, plus a desk and usual wooden chair. Very good breakfast. Pool and hot tub under repair right now, but will be ready again soon. Buccee's right across the street. This was by far the worst night I've had in a hotel in a very long time. The charged premium room rates for a budget hotel Check in was ok, the clerk was nice and the lobby was clean as this is a fairly be property. The issues stayed when I went to sleep. The bed was ok, but there was only a sheet and a very thin blanket and the ac unit is one that is under the window and the only thing you can control is high, low fan speed and a dial for the temperature. So in the middle of the night we woke up freezing. Then after being awaken, I couldn't go back to setup for the noise from the other rooms and the traffic outside. We rented the Jacuzzi suit in hopes of having a relaxing night. Not what you would expect to get for the price of the room. 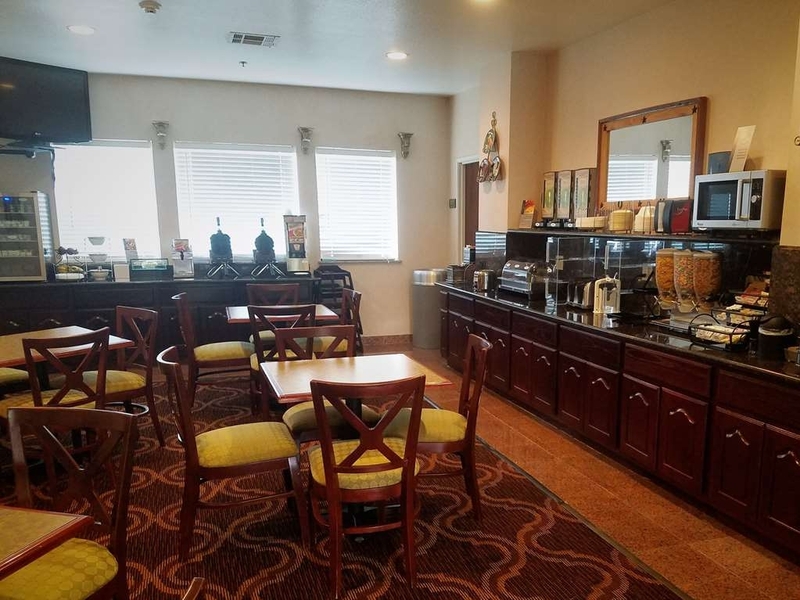 "Review of Best Western in Madisonville"
We have stayed at this hotel over 12 times in the past year and they have always been very nice and helpful. The rooms have always been very nice and clean. The heated pool is great after a long day. A good bang for your buck! I wasn't sure I would find a comfortably and clean room away from the larger metropolitan areas, but this Best Western fit the bill. It was just right for a stop-over to visit family. The only thing I'll do different for my next visit is bring my own pillow. Felt ripped off from the beginning! When checking in, Becky (Asst. Mgr.) told us we reserved a King, Smoking room. When we showed her our reservation email directly from BW showing we reserved a King, Non-Smoking room, she argued with us and said none of those rooms were available. She then stated she could provide us with a HIGHER PRICED Non-Smoking room. We politely told her that we wanted a Non-Smoking room, but "not at a higher price" as it was not our fault the room we reserved was not available. She then repeated that our reservation was not correct. When I told her that I didn't care what her system shows, and that we were the customer and our price should be honored, as we had proof of our reservation, her response was "WOW" and she was visibly upset that we refused to pay more. She finally gave in and gave us a room with two queens for the same price as our original reservation. This was a 15 minute process of her arguing with us that should have been resolved within a minute of walking in. Since there were no more than 10 cars parked at the hotel when we arrived around 9:30 pm, it is hard to believe all of any room type was sold out. We honestly felt we were given an excuse that our room was not available so we would have to pay for a higher priced room to bring more revenue into the hotel. If INTEGRITY was not the case, Becky needs to be trained on appropriate customer service when handling these situations. As for the hotel, the room was clean, the shower didn't work well, and the breakfast was not great. This hotel was a pleasant surprise, beginning with a warm welcome from Becky. She made sure that our room was ready for an early arrival and didn't mind the tales of the weary travelers! The room was clean, quiet and comfortable. Anytime I'm in the area, I stay here because I can count on this hotel to be a pleasant stay. I rarely experience any issues here. My only disappointment was the breakfast; they were out of eggs 2 of the 3 mornings I was there. "Great get away for the weekend." Great get away for the weekend. 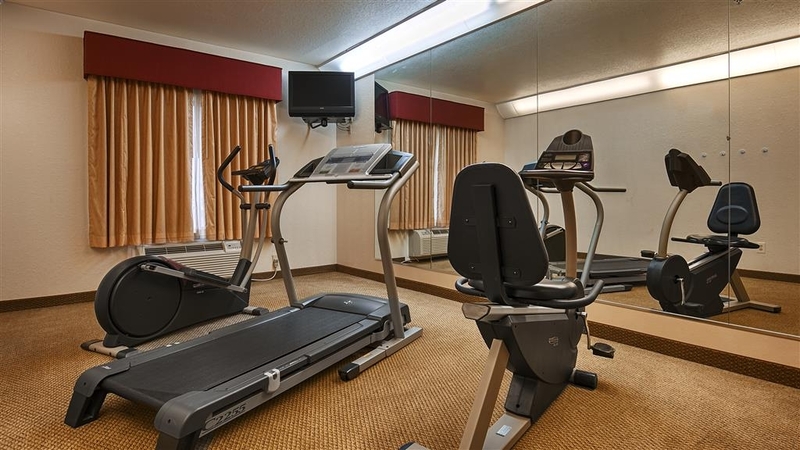 The hotel was conveniently located near all major attractions and right off the highway which made getting back on the road a faster task. The breakfast offered a variety of items to choose from. Clean room Great Friendly Staff. Convenient location. Clean inside and outside. There was a issue with the children in the room above us and I went to the front desk it was instantly taken care of completely professional. 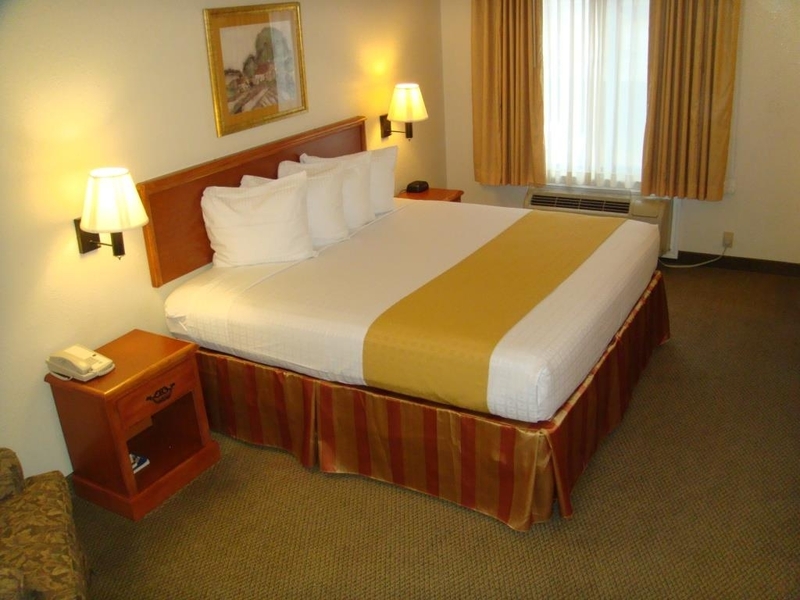 "For this class of motel, this is a great option"
The hotel is clean, well maintained, and close to the freeway exit. 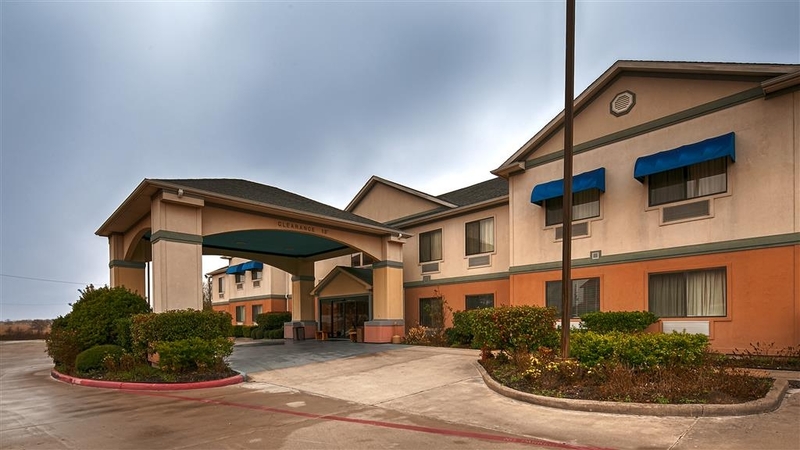 It's an excellent place to stay almost mid-way between Houston and Dallas on the I-45. The breakfast included eggs, make-your-own waffles complete with waffle makers, coffee, juice, sausage, etc and was good quality. 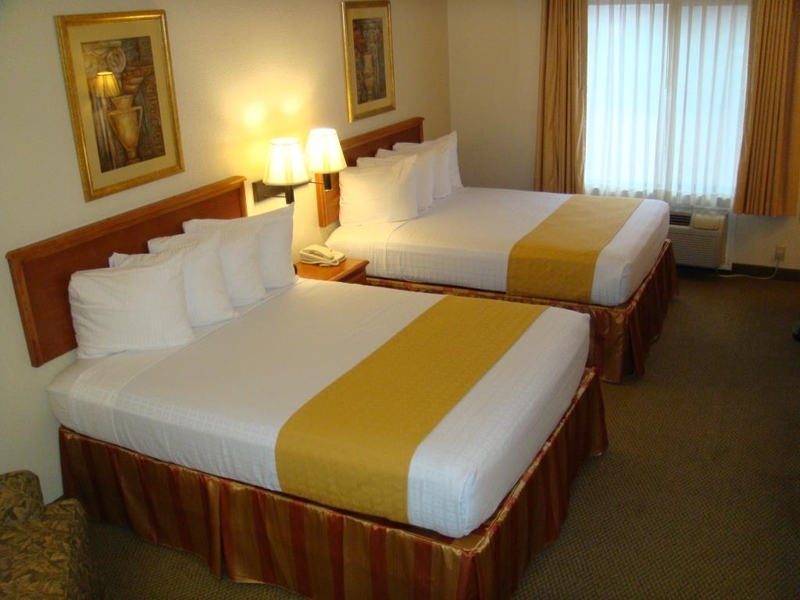 Nice, clean room with a large flat screen TV with convenient parking and friendly staff for starters. Pretty good breakfast as well, not just average sweet rolls, but scrambled eggs, bacon, sausage, a waffle machine, etc. "Good service. Clean hotel. Affordable." Service is great. Staff is very nice. Hotel is clean rooms are quiet. Would stay again. Convenient to freeway. Easy to get in and out. Quick check out. Affordable. Didn't use pool but it looked nice. Very nice stay. I have spent a lot of time at this motel. The staff is great, rooms are clean, and the owner is amazing. I haven't visited since 2014, but I would always suggest this place! And their prices are very reasonable. The small town of Madisonville, TX does not have a lot of hotels to choose from so we opted with this hotel because of the very accommodating front desk staff. From the moment I called to reserve a room to the moment we checked out, we felt like we were part of the family. We would definitely stay here again! The service at this hotel was great. Sharon that worked the front desk was very friendly and helpful. I wish all hotels had a "Sharon". There was another lady at the hotel that was very helpful as well. I just don't recall her name. The hotel was very clean which I truly appreciate. Also, it was quiet and the hotel was totally full when we stayed there. Highly recommend it. My wife and I are in this part of Texas once a month and after staying at other places before have made this Best Western THE ONLY place we stay when in town. 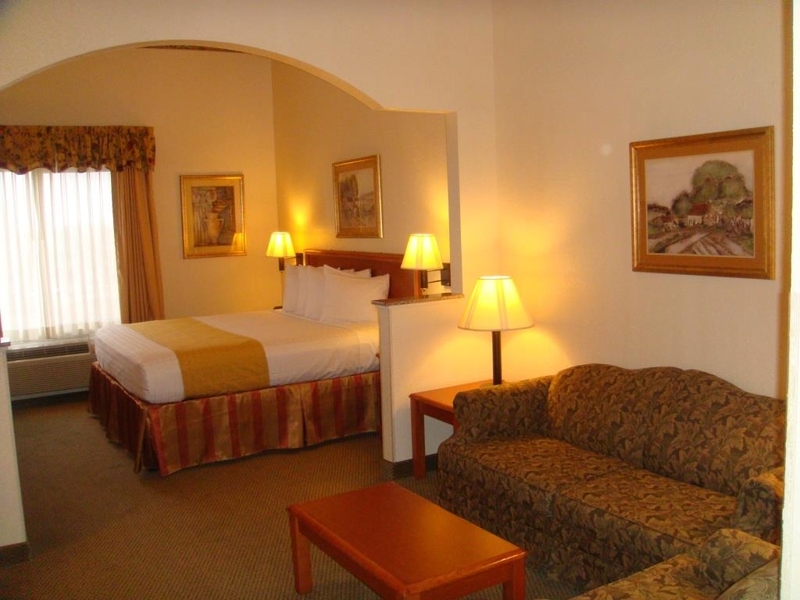 The staff are very friendly and helpful and the rooms are always clean and quiet. The heated pool is very nice in the evening after dinner. A great place to unwind after a busy day. It was average. I thought the check-in took an unusual long time. The vending machine and ice machine were both out on my floor (only 2 floors). The business center was inadequate. It needs to be updated. Friendly staff. This location was great due to the fact that it was close to the freeway, plus had plenty of parking for very large trucks. The rooms are very nicely put together. A nice hot full breakfast in the morning goes a long way with me. Thank you for staying with us here in Madisonville. Once again we stopped on our way to Galveston, and once again it was really nice. Hotel is Very Clean, mattress is GREAT, Breakfast is good. Right across the street from Buckee's. What else can I say--Wish every Hotel was this NICE! Very kind words. Thank you & thank you for staying with us in Madisonville. Hope to see yall again. It was a clean very welcoming staff . We had a very good stay the pool was nice also close to where we were going .easy off I 45 and easy on I 45 the town was nice they have good pleases to eat and places to shop . the prices are good also . We attended commencement at Texas A&M and found this a good alternative to the pricey lodging in College Station. It was an easy drive to and from A&M. The hotel was clean and quiet, and the staff was helpful. Easy access off I-45. Buc-ee's is across the highway. we were on our way to Louisiana and it got late, we decided to stay here and were pleasantly surprised. We were greeted with a friendly, smiling front desk clerk. The room was roomy and clean. We arrived late and left early, so we did not get to try out the amenities. Will definitely stay here again if needed. And a big plus....Bucees is across the street. Clean, comfortable and quiet. Last minute stay due to disappointing conditions at local B and B. Young man at front desk was very helpful. Cleaning staff does an outstanding job. Breakfast was hot with a lot of choices. Great stay for a week. So comfortable! Clean and the team there was amazing!!! I appreciated the kindness and their efforts! It was a last minute drop in after getting a flat tire needing some rest in the middle of the night. Hot breakfast in the morning before we headed home. 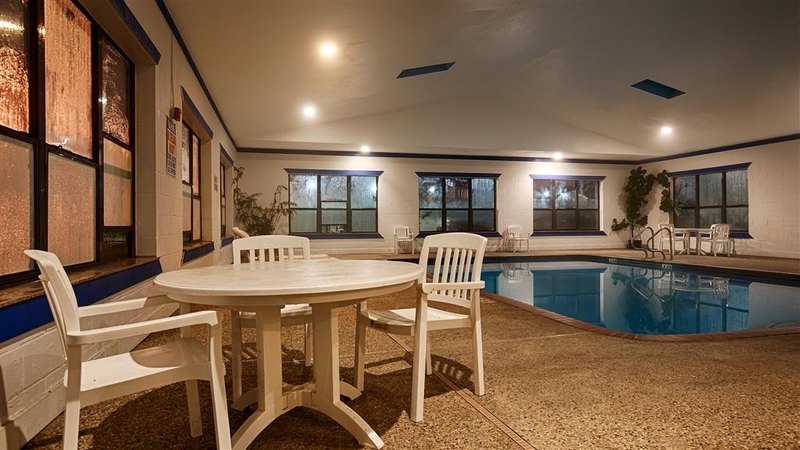 "Best Hotel in this Small Town"
If you are looking for an overnight stay in Madisonville, Texas, this is your place. Very clean hotel and remodel. Hallways and room are very clean. Staff very nice. Hot tub is too cold, its a cold tub and it needs repair . Breakfast was okay but attendent not helpful. Front desk was awesome. Will stay here again! "Road trip home after Cruise"
This was a small town along the route. We chose the Best Western. It was dark and not much light outside. I asked the desk clerk to let me see the room. He was very polite and oblige my request. The room was great and the hallways were clean. Our room was a big king room, with a desk and chair; a table and two chairs, and a living room chair and ottoman. we had plenty of room. The room was clean and neat. And there was a big flat screen tv in the room. The young man at the front desk was very helpful and recommended where to eat. He suggested the Lakeside Inn and that was an excellent choice. We will stay here again and I would recommend this to anyone passing through on 35. It was a quiet hotel, we didn't hear everything going on around us. The breakfast and the breakfast attendant need help. She wasn't very helpful and poor choices. But with the other restaurants in the area; that was tolerable. "Probably best available in this town. " I have stayed here twice for business. From the other places I've driven by, this is probably the best bet in M'ville. It's very clean and super quiet, which works well for night shifts. A deodorizer they spray in the rooms is a little weird, but there are large windows one can actually open. The desk people are super nice and helpful. One feature I like particularly like is the ability to pay a little extra and check out by 4 PM. Very helpful if you've worked a 24 hr shift and need some sleep before safely hitting the road for a long trip home. Hot tub not heated to the requisite 103 degrees. A little cool. small town on the Interstate highway has been updated. 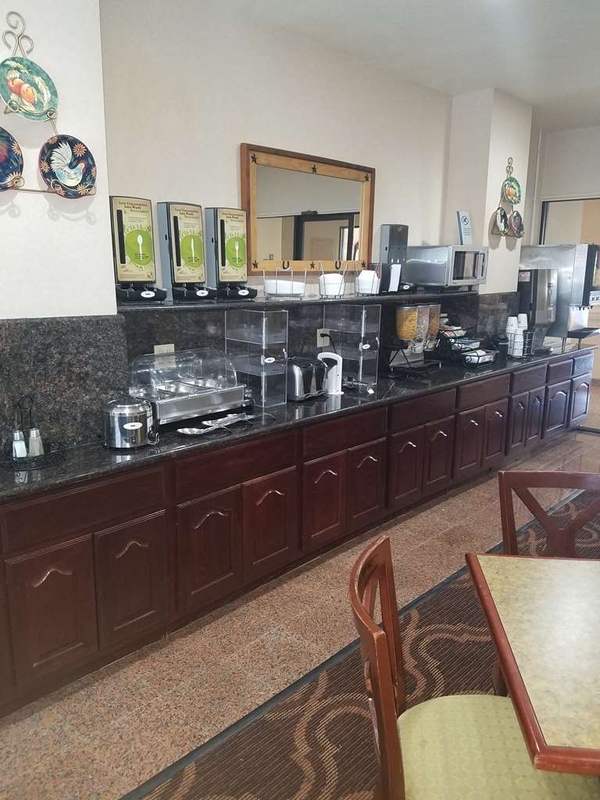 Has a friendly helpful staff with a great recommendation for evening meal away from the Interstate. Very good breakfast with attentive staff. Excellent overnight, especially compared to Houston. "Pathway Of Lights - Madisonville, Texas"
My husband and I met with Broadway Church in Madisonville, Texas for the Pathway of Lights. We stayed at Best Western across the street from Buckees. Room and staff were great! Will stay there again! ?? Quiet, exceptionally clean and just off the interstate...no real complaints other than a warped bathroom door that was somewhat hard to close and low water pressure in the shower. Every employee I came in contact with nice and attentive. Somewhat pricey (I thought) for the area but you get what you pay for. Nice morning breakfast bar too. 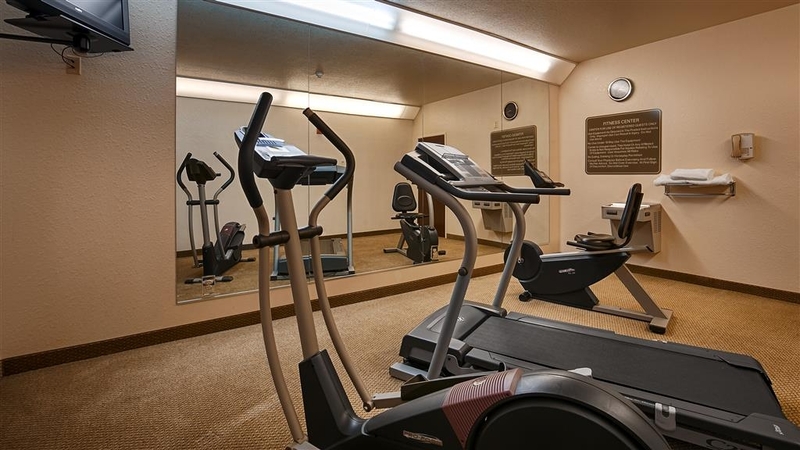 "A good option in this small town"
Good amenities. Free Wifi (a little slow). Free breakfast that's tolerable. The rooms are clean all around, and the flat screen TV is up to date. I like the fridge in the room as well. Other than The Woodbine Hotel, it's the best option in Madisonville. I'd recommend NOT going through Expedia to book your reservation. It leads to all kinds of complications between the hotel and them, and will slow down your check out. Just book directly through their website. "Best Hotel in Madisonville "
I've stayed at lots of hotels. This is not the best by any measure but it surely is the best option in Madisonville. The rooms are updated and kept clean. There were a few maintenance issues that needed attention and they were clearly marked "out of order" but after a four night stay I thought the signs would be history. I'm afraid they might be permanent, (treadmill and hot tub non-operational) but future reviews might prove that thought entirely inaccurate, I hope. The breakfast was good. The Wi-Fi strong. The Wi-Fi did go down one day. I called the front desk and they were on it. It was quickly restored. The staff, especially the morning crew, was friendly and helpful. Not a bad choice. In Madisonville it is a VERY GOOD choice! Got tired on the road, called ahead to this Best Western. They had a room & the staff was most gracious & accommodating. I have a rewards card & the lady even entered me in a special promotion. Even helped us with dinner suggestions. Would definitely stay here again! Stopped here on our way to Galveston-Check in was quick, Staff very helpful, Rooms were very clean, Bed was so comfortable best nights sleep I had in a while. Breakfast was Great. Pool was warm and clean! Buckey's right there. Wish I could have stayed longer. This used to be a great place to stay with a fair price. But they have went up and up and up and are about to go up again I was told this morning . Its now more cost effective to drive to Huntsville. There has been NOTHING added to justify the exhorbitant price increase. Other than that it's pretty nice but it's not the Hilton. 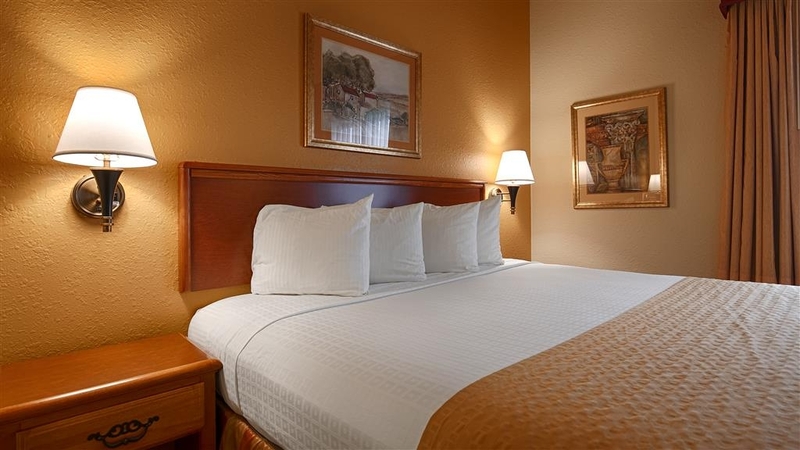 Stayed there for 3 Days starting April 3rd Very Clean Room, Curious and Professional Staff, Great Free Breakfast 42 inch TV in the room Free Wi Fi I Highly Recommend this Best Western its a Great Place to Stay and I will again when I go by there. Staff is helpful and vey friendly. Rooms are neat and clean. Parking is easy and close to the entry. Pool and pool area is always neat and clean. Location is great and easy to get to. The breakfast is good and the coffee is great.